Break out the seal fat, roll on the snow! We're counting down the days to our favorite day of the year: International Polar Bear Day on Feb. 27. Every year, we celebrate polar bears on their special day to raise awareness of the challenges they face in a warming Arctic and to motivate action on climate change. Why? To save their sea ice, of course, and ensure these magnificent animals roam in the Arctic for generations to come. Ready to do more? 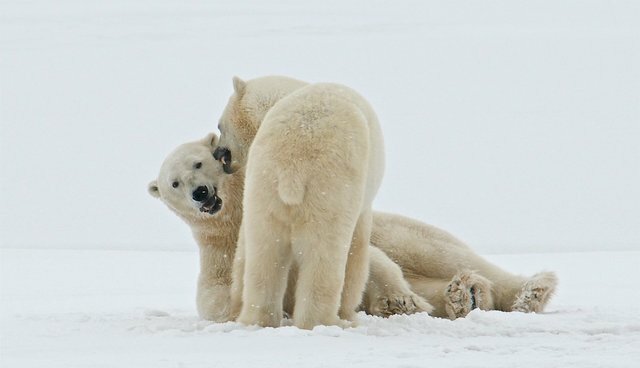 Join one of Tundra Connections broadcasts to learn what polar bears do on the sea ice at this time of year-and how you can help ensure they have a brighter future. This year's International Polar Bear Day celebration is the first event on the path to the COP21 climate summit this December in Paris. You can help make the talks a success by signing our petition and sharing it with others.